2017 saw a remarkable change in the world of content marketing strategy. Content blossomed out of the infancy of infinite ideas and took a more refined approach. As we step into 2018, we have a matured marketing movement – one with purposeful strategy budgets, palpable results and a long-term vision. Brands have placed more emphasis on using their owned channels and are becoming more sophisticated in the ways in which they’re working with content, evidenced in Mothercare’s magazine and online platform Gurgle – a publication dedicated to content around the brand’s specialism and expertise. But how can you bolster your content marketing strategy in 2018 to fit these latest trends? If you’ve brainstormed an idea that seems generic for your industry, the likelihood is that it’ll have already been done by your competitors. 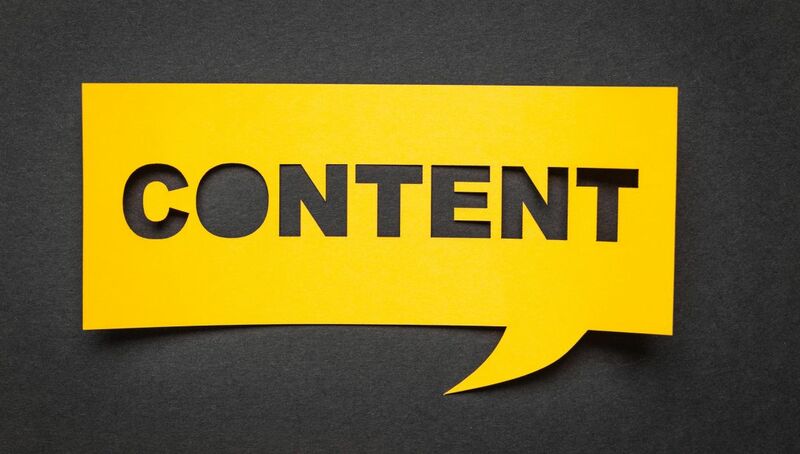 Although having this content can have its perks and doesn’t need to be avoided at all costs, the results you’ll see on generic how-to guides and listicles will be much weaker than on original concepts. You wouldn’t see Burger King taking the famed “I’m Lovin’ It” slogan from McDonalds, so why should you follow the trend of regurgitating someone else’s copy? Many brands are happy to stick to the safe option, but this is your chance to stand out from the crowd. Not only do you need to anticipate what the upcoming trends in your industry are, but you also need to be the one driving them. Use your authority in the marketplace to dictate the trends through content by looking at data, speaking to consumers and being prepared to stick your neck out. Knowing your audience is the foundation for creating a great strategy, but how do you go about catering your content marketing activity for everyone under your target umbrella? If you’re a retail brand who has a massive range of audience profiles, you need content that appeals to all your demographics. You might have one customer who is a young, single millennial and another who is a middle-aged, married parent-of-three, so you need to identify their (most likely differing) interests. The same is true for customers with a novice, intermediate and advanced understanding of your brand or service. Setting up shop knowing your core personas is the perfect way to cater your content to those who are going to be reading it. Use the customer data at your disposal, segment it to help with your storytelling, then craft the right content for what each persona is wanting to find out. Old hack methodology may have told us the more pieces of content, the better. But in the content marketing climate of 2018, this idea certainly needs evaluating. Studies of high-end bloggers have revealed an interesting correlation – the number of posts has decreased, but the overall word count has increased. In layman’s terms, the winning equation is posting less frequently, but writing more when you do. However, don’t fall into the trap of creating the same old content and just boosting the word count. The focus needs to be placed on creating breakthrough stories and getting them out in front of the right people. The days of simply getting a consumer to click through to your copy are dwindling – you need grab their attention, educate them and pull out all the stops to wow them. Once you’ve mastered that formula, you’ll be in pole position to entertain your audience. Internal resources (or a lack of them) often force brands to use the skillset of freelancers to create any content. But rather than sticking out an ad and praying someone half decent replies, place your time and efforts on finding someone who is right for your brand. You need someone who boasts storytelling skills, subject matter expertise and can understand the ambition of your brand’s strategy when it comes to content marketing. It isn’t just churning out an article and you’re done – you need someone who practices the ideas of PR, content, social and search to deliver strong results in both driving traffic to your owned channels and gaining media coverage through your content marketing approach. Searching for someone who ticks all the boxes can be a pretty arduous task, so why not place the trust into an integrated agency to deliver a fantastic content marketing strategy? Here at Brand8, we have a proven track record in devising, implementing and amplifying highly successful content marketing activity. Through our vastly experienced team and approach to incorporating PR, content, social and search within all our work, our core objective is to deliver outstanding and original ideas for your content marketing strategy to promote awareness, interaction and growth.